Please fill in the required field and come to the confirmation page. ・Reservation is requested before one week. ・Please inform us before one week for cancellation. ［Duration］ No more than 60 min. ○You can enjoy a special tasting. ○For those who would like to enjoy our tour as part of a bus tour, please contact us at least 10 days in advance. 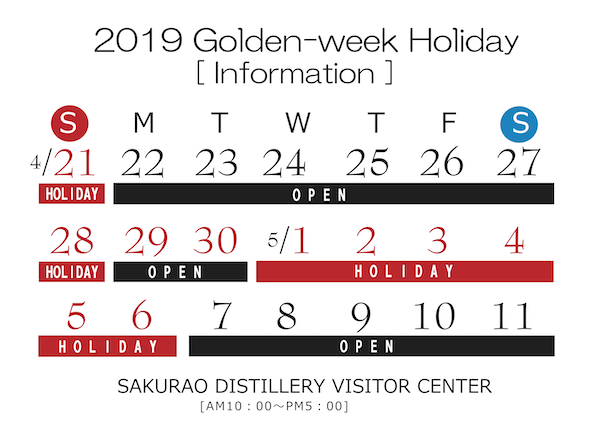 ・Distillery tour in English is available only on weekdays. ※Please write here to any questions.